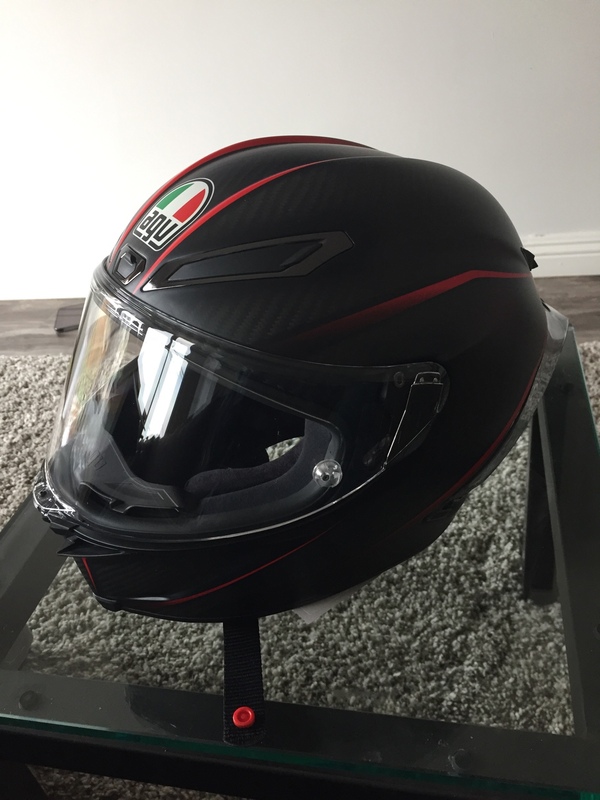 Has anyone already received their AGV Pista GP R Helmet? If so, how is it compared to the previous Pista GP? I'm curios to know too. Dang, now thats a more wallet friendly price! Super cool,but doesn't seem very street friendly per Revzilla overview. They said the Pista GP wasn't good for the street either. Maybe they didn't stress it quite as much but they still said it really wasn't for the street. I have a Pista GP and really like it. I would definitely be interested in trying one of these out. 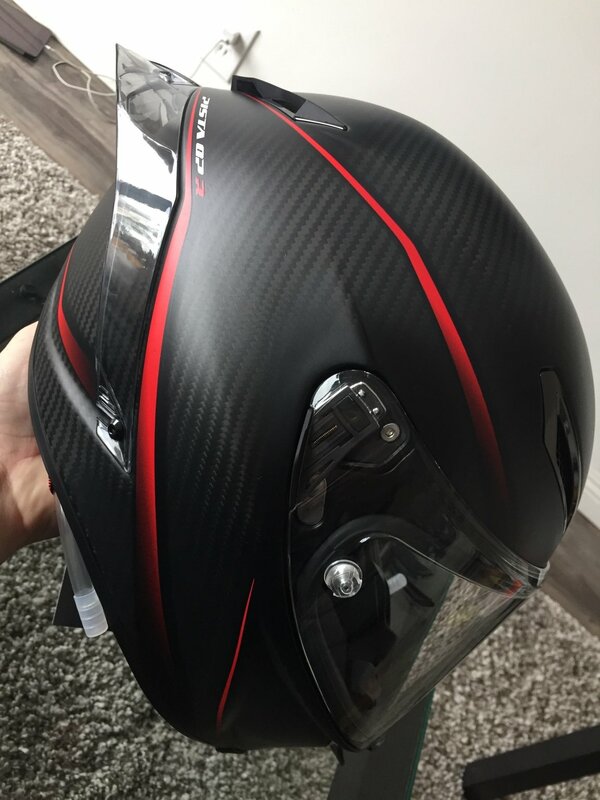 My bike isn't made for the street either so this helmet would match my bike perfectly. Got mine today! Now I just need to figure out if I can use the previous model race 2 visor as the race 3's won't be out until late march/April!!! I may have to get this clear one tinted as I have a track weekend beginning of march. 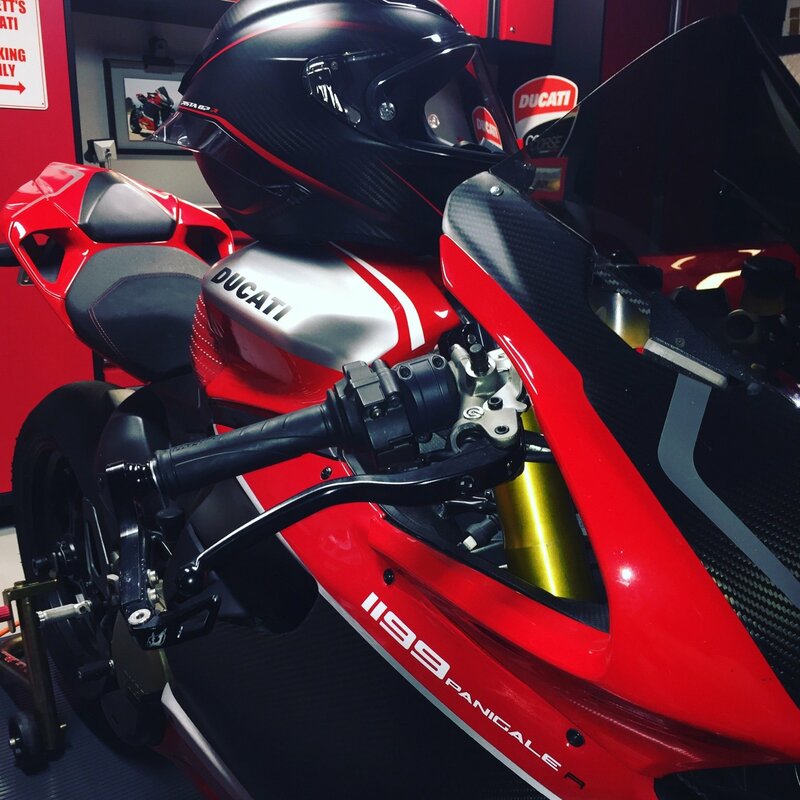 I really wanted the gran premio high gloss Italian striped one but your matte carbon and red looks really nice with the R!